An original published artwork by the cartoonist Richard Willson (1939-2011) guaranteed to have been printed in the British National newspaper ‘The Times’. Size unframed : 21" x 13"
Size framed : 28" x 23"
Many of the prints in this collection display details of the publication the cartoon appeared in. For example OPED TTM 211601. This information is for the newspaper editorial team and is deliberately kept in view when framing as in our opinion this adds interest and value to the presentation. TTM = The Times /OPED = Opposite Editorial/ 21 = day of publication or completion/16 = Page number / 01 = position on page. Very good for age, light artist fingerprint top left. 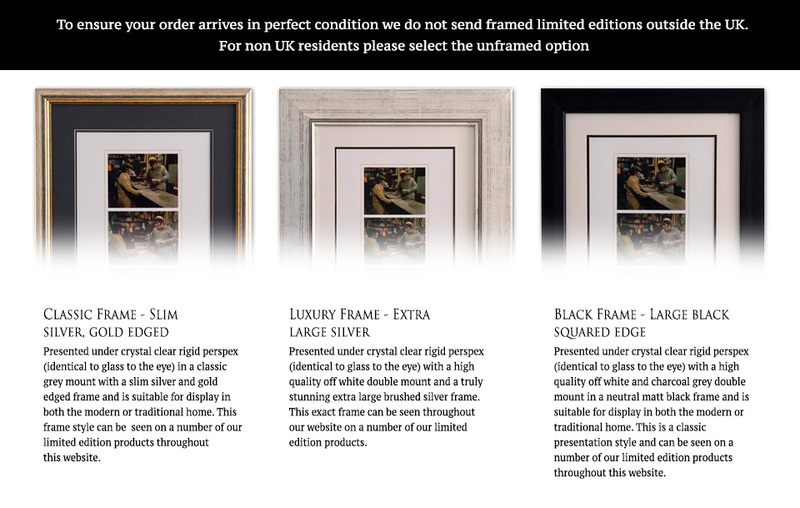 High quality professional framing with double mount and champagne/black double frame with additional aperture confirming the exact date this original artwork was published. Order unframed and your order will arrive gold wrapped and sealed ready to frame, archive or to give as a unique and original gift. 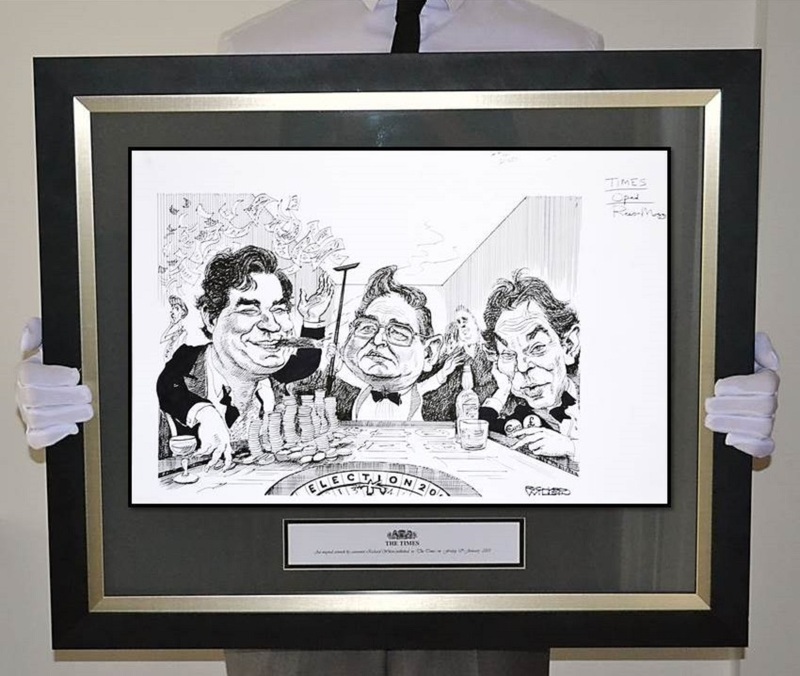 Every cartoon is provided with a certificate of authenticity guaranteeing your purchase is an original 'The Times' published cartoon by Richard Willson. Please email sales@originalmemorabilia.co.uk if you would like to add this to your order. Richard Willson’s detailed pen-and-ink profiles of politicians and public figures were a feature of The Times over four decades. Originally a cartoonist and caricaturist on the Observer he moved to The Times in 1971 illustrating for the Business Diary column and later moving to the news, opinion and political pages. Richard Willson art is rarely available and the subject matter of this piece is very collectible. In our opinion the opportunity for this 'one off original piece' to increase in value is extremely high. Size unframed 21" x 13"
Size framed 28" x 23"